A trip to Cambodia marks West Texas A&M University’s fourth international sojourn as winners of the annual Readership WT essay contest departed Wednesday for Phnom Penh on a nine-day learning experience. First, family and friends joined with WTAMU faculty and staff members just outside the Rick Husband Amarillo International Airport’s security gates to wish the travelers farewell. The group includes the 12 students whose essay-writing skills won them the all-expense paid trip to Cambodia, plus a member of the university faculty, two WTAMU staff members and two student peer leaders. The students also will join student essay winners from Texas A&M International University in Laredo. The essay contest was based on the 2010 Readership WT book The Road of Lost Innocence by Somaly Mam, and the trip will expose the WTAMU and TAMIU students to a new culture and encourage them to become global citizens. The trip will be documented by Tyler Sweeney, a senior mass communication/broadcasting student from Corpus Christi, who is traveling with the group as a peer leader. The university’s international expeditions for winners of Readership WT essay contests have proven to be life changing experiences for the students, and this year’s trip is no exception. The 12 freshmen are excited and have been preparing for the trip for several weeks. They have been attending classes to learn about Cambodia, its culture and its people. They will post blogs about the trip and their experiences at http://readershipwtcambodia.wordpress.com. The nine-day trip will introduce the students to the Cambodian culture through home stays with local Cambodian families. They will visit local markets and experience the country’s foods and spices, including an opportunity to try fried spiders. 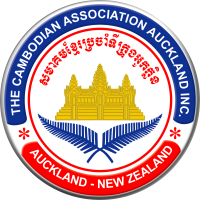 They will hike and learn about the country’s nature and wildlife and visit with local university students about Cambodia’s educational system. Visits to various temples, the Tuol Sleng Genocide Museum and the Killing Fields also are on the trip itinerary. The travelers will depart from Phnom Penh International Airport on March 19 for Amarillo. John Lubker, associate dean of the College of Nursing and Health Sciences, is joining Kendra Campbell, director of the First Year Experience, as a sponsor on the trip. Johnny Story, multimedia developer for athletics, who helped document the Readership WT Africa trip in 2009, also will join the group along with peer leaders Sweeney and Ashton Paetzold, a senior social work major from Hereford. Among students traveling to Cambodia are Sabrina Meck, Meagan Price and Audra Thurman of Canyon and Thomas Wieck of Umbarger.